(English) On m'a souvent demandé de résumer en quelques pages la "cosmologie" de l'Hypnose Humaniste, sa vision de la Vie : d'où venons-nous ? A quoi sert l'existence ? Pourquoi tant de malheurs sur Terre ?... Et que pouvons-nous y faire ? All these questions are answered to in my book, that exposes Humanist Hypnosis’ approach and whole techniques. To concentrate or summarize the Humanist Hypnosis approach seems like an impossible task. I have chosen to present here Humanist Hypnosis’ existential approach, wide vision of Life – leaving aside the philosophical and practical applications coming along (the books are definitely of great help on that matter!). Let’s present Human history as a tale, to remain open to debate on philosophical and psychological wanders, rather than limiting it to bulletproof basis. Human history shows that huge scientific breakthroughs were very often carried out by philosophers or writers, free creative spirits. For instance, is the recent past, people really believed that there was no Universe outside of our own Galaxy, gathering all the stars. Edgar Poe was the first to suggest via poetry not only the existence of billions and billions galaxies other than ours, but also that our little bubble galaxy was indeed a wide and even maybe infinite territory. A hundred years later, science confirmed… and it’s not a unique example! So… let’s consider this “story” as a romance, as science fiction. Scientists of all times never agreed upon their – often opposite – visions of truth. Fiction seems more reliable and stable. Moreover, that story might seem relevant only to therapists, for they should cultivate a particular vision of life and philosophy to understand, treat and accompany their patients on a Humanist Hypnosis basis. The patient has no need to carry that knowledge, neither to accept of believe Humanist Hypnosis “tales”. Here goes the Great Story of Life. Once upon a time… a perfect, pure and infinite thought. The most beautiful, sublime and admirable thing you could ever imagine. What is thought?… It is neither strong as wood or iron, nor palpable or capturable, nor thin as air. It is even more subtle. Some would call it information, but that would remain vague. Let’s try to define information. It’s almost as hard to explain… If I were to show you a bunch of rocks, how many words would you use to describe it? Now, let’s imagine a majestic and tall cathedral build with these same rocks: how many words would you describe it in? Information is also the idea, the plan that led the rocks to be transformed into a cathedral. Obviously, this perfect, pure and infinite thought would not be made of flesh and blood, like you and I; neither would this supreme intelligence be defined with the words used to describe our world. It is a presence built made of the densest, completest and purest information ever. Information, even formidable, doesn’t have a size or takes space, you know. By the way, a “big” information is not necessarily better than a smaller one: a long speech is often emotionally and deeply lighter than a simple “yes”. Quality of an information is determined by its impact. Well, at the very beginning was the purest and most admirable information, containing Life as a whole. So small, not to be seen, as an infinitely small dot. So small that it would not have a physical existence, no energy as we consider it. Just a pure thought. That is precisely the story you’re reading. At the very beginning was that Pure Information, so pure it could not be described. Picture the most absolute transparency. As pure was the original entity. Too many imperfect words would be used to describe it thoroughly. The best would be to use numbers, the most accurate also being the most mysterious and symbolic of them all: Zero. Do you know the symbol of All, of the Everything? A circle… a zero. That geometric shape frequently recognized across our universe, from raindrops to cellars, stars, atomic nuclei or planets. What about the symbol of evolution? It’s a spiral: a tiny dot at the very beginning of a perpetually growing circle. Our universe was born. From an infinitely tiny dot, unconceivable and full of it All. One day – as to say, considering that time did not exist at that point of our existence – one day then, the perfect thought had kind of a burst. It might have been bored of not taking advantage of her own perfection: imagine being perfect and not accomplishing anything! I like to think that the perfect presence realized her own potential, decided to rise as a hidden treasure and get into action. As under a tickle, it contracted, calling the thousands and thousands drops of information – until then slowly floating upon the original ocean – to unite, aggregate and form a huge, prodigious wave never seen before. Waves such as this one do exist in our oceans… that burst, claim of joy, gave birth to the first Big Bang: a silent Big Bang, explosion of information, a loud laugh from the universe we cannot hear despite its current echo. At the precise moment when the essential entity dashed to the infinity, the original zero felt a spark, an impulse, comparable to the “impulse of Dirac”. Named after an English mathematician, this phenomenon (well-known from electricity, image or sound engineers) defines an infinite surge starting from scratch to eventually cover all possible frequencies. In the world of the primitive information, that surge gave birth to all the possible, to the expression of all possibilities. The Information (capital letter) delivered all the information. One became multiple. It is from this ocean of information that appeared the first “virtual” particles (we might also say “imaginary”). 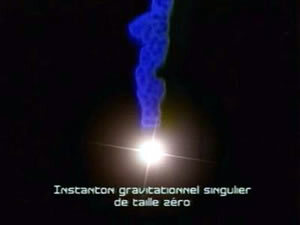 In our current universe, the most known virtual particle is the “graviton”, the pseudoparticle of the gravity, impossible to observe despite its constant and obvious effects. In the infinite ocean of information, “instanton” pseudoparticles gave birth a fraction of a second later to what we shall call Time. Let’s precise that, in this scale, “fractions of a second” lasted eternities! Meanwhile, other pseudoparticles called “monopoles” (because they work as single-sided magnets) produced the strengths which still govern the material world, such as electromagnetism. This almost quantum bubbling had a phenomenal, indescribable energy! And it is this energy, arisen from the nothingness a tiny moment previously, led to the transition from imaginary particles to real particles. A moment came when virtual particles and real particles balanced each other to train a tremendous “quantum soup”, dense and homogeneous. The energy, the temperature and the density of this moment were so gigantic that even photons, small beads of light, were stuck inside and could not escape from it. It was like as a wall, impenetrable. It was given a German physicist’s name: the “wall of Planck”, border between the original world, made by pure information, and our material world made of waves and particles. How long lasted that transition between the original flash of pure thought to the wall of Planck’s mixture bubbling? Such a short time I would not be able to pronounce. Which word would qualify a zero, followed by 42 zeros and one 1 in the end? Zero zero zero zero zero zero… one second! (10-43s). Such an infinitesimal time from our perspective, during which, nevertheless, occurred billions of billions more things than between this moment and our days … Hard to imagine. 380.000 more years later, photons freed from their gangue, began to escape in all the directions… towards us, today! The wall of Planck symbolizes the border between our soon-to-be material world and the previous era, almost completely made of pure information. As we said before, the zero point had no size, no more than the ocean of information it became, because information does not take space… All that we could measure, so early after the Big Bang, was would be the wall of Planck. And even there, words are missing : in centimeters, you would have to write a zero, followed by 32 zeros and of one 1 quite in the rear (10-33cm). At the beginning of any things, we were only a simple thought. This thought trotted towards the infinity, creating all the possibilities of our universe… this infinite bath engendering the first seeds of material: electrons, protons and neutrons… which immediately began a gigantic expansion which continues even nowadays. In a few fractions of billionths of millisecond, the universe grew in crazy proportions. It got, from billion and billion times smaller than an atomic nucleus, to such a gigantic size we still are not able today to define it as finite or infinite. All the material and all the necessary strengths to maintain the universe came from this microscopic original bubbling mass. Everything that surrounds you today, from planets to your skin, from stars to galaxies, and up to your house and food… everything arises from this small grain seed of energy. The Earth, waying 6 000 billion billion tons, also comes from this tiny original grain, as all the rest. When the original thought dashed in a vertiginous peak of information and when a part of this information densified, occurred a phenomenal explosion which generated material, visible and invisible, in all directions. You might be wondering sensibly me where this brutal explosion occurred. Growth of anything should occur in an environment of any type. Which one? Where did the Big Bang happen? Where is the center of the universe? Where does it come from? The answer to all your questions is simple. Space and time, upon which are based all your questions and norms of thought, did not exist at the beginning of it all, at the moment of the Big Bang, and thus even less before. My last sentence itself proves how hard it is to explain where everything came to birth without using words of the past and present. We can hardly imagine a place without place, a time without time, a place out of time and space. It’s conceivable, but hard to perceive in the way we perceive our reality… The closest thing to this outer place are our thoughts, our instantaneous thoughts. Space and the time were born with the original thought stroke, then during the huge explosion of Big Bang : when all the material and the vacuum were ejected in all directions, the baby universe began inflating, as a ball being blown. By expanding, the ball separated particles until then quite squeezed. Here was born space… and properly time too, as a result from the moment needed to pass from a place to another one. Space and time only exist in our material world. They are not familiar to our profound and unconscious spirit. They are hard-to-understand concepts taught at school to 5 or 6 years of age kids. They are not native concepts and remain far from our deep nature, even though everything surrounding us depend on them. As a result, there is no place where the universe was born, because its birth created all the possible places. Thus, there could be no center to the universe. If we look in all directions, the light always has the same speed and the same direction, it is moreover it which determines to which sense goes the time, of the past towards the future. And wherever from we take place in the universe, it’s always the same, as if we were everywhere in the center of everything. It turns out that, meanwhile, physicists know what surrounds our universe: it is something immaterial (since material dimension is built at the same time as our universe), has no border or limit. It’s somewhat as if our universe was the cream left on top of cooling hot milk. The original thought is an infinite ocean of information and our universe crystallizes on its surface, as a fine cream of milk… Of course, to be accurate, it would be necessary to imagine a cream of milk which interpenetrates the original thought and vice versa. Physicists call the original ocean: “somewhere else”, as if it was somewhere else with regard to our concrete universe. Somewhere else is everything around our universe. “Null” = speed of light, forming a wall, a frontier. “Timelike” (time-gender) = timeline, from past (below) to future (up). Our concrete universe exists in this light cone. Present is at the crosspoint between these light cones. 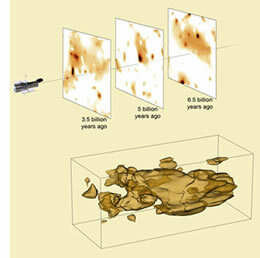 We know that Spacelike is only inhabited with virtual particles, as instantons (pseudoparticles of time). All that lives there can be only imaginary – meaning “pure information”… Physicists’ Spacelike equals to the Pure original Information, so pure it cannot be observed. Of course, there is also information in our world, thanks to which everything is structured, exists, thanks to whom we are alive and to which I can tell you this story. But the information of our world is the child of Pure Information. A sea within the wide ocean. Pure Information is the big ocean whose water our universe is made of. Our universe ensues from the big ocean of Information. That is crucial… I shall talk about it more later. “Spacelike” englobes all our material universe. We come and grow from it (him or her!). If you imagine that a vast cone opens from the tiny point where from everything began, with our universe in the cone, then Spacelike is all which surrounds the cone – the original point, the sharp of the cone, itself being part of Spacelike. Furthermore, this cone is not tight: the Pure Information of our matrix always infiltrates, permanently, our material world: we find his track everywhere in our universe. For example, at the moment, a small cube of space of 1cm aside, wherever around you, can contain up to 1000 billion billion billion virtual particles!… Of course, these particles live only a very brief moment and rare are the ones, as gravitons (virtual particles of gravity), to integrate our material universe – but they exist, there, everywhere around us. They also live in Spacelike, in the world of the original thought. Besides, all of the universe is governed by what we call “constants”, values which ensue from the functioning of the universe. There are finally only few these constants and they are extremely precise, in an inconceivable point. Nevertheless, if the one or other one of these constants had been different, in the tiniest way which is, the universe would never have existed! Life such as we know it is the result of a sleight of hand of a precision such as many scientists see behind these constants the mark of a prodigious intelligence. Other example, take a world-famous number: the number Pi… This number is a part of what we call “numbers-universe”, because they are endless and never repeat. As I am telling you this story, 5000 billion figures after the comma of Pi have been identified, without any of them ever repeating! Well, would you believe that any information of our universe represents in the number Pi: my date of birth is registered in Pi and yours also. 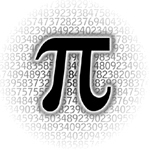 Dates such as September 11th, first steps on the Moon or your numerologic name are registered in Pi, just as much as the digital equivalent of your favorite symphony or the last fashionable best-seller… Our whole universe is registered in Pi! 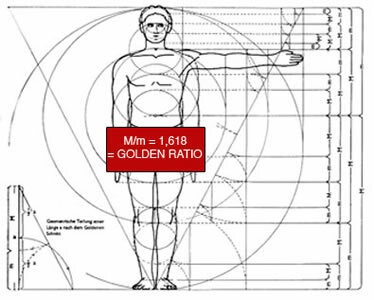 The famous Golden section is also a “number-universe”, and it is registered moreover also in Pi… He too finds himself everywhere in the universe, and not only in the human constructions, as pyramids or cathedrals. The heart of a flower, the shell of mollusks, the arrangement of tree leaves or the solar system, your DNA and the proportions of your body are structured according to the Golden section. First, an atom is made by a core surrounded with an empty and immense space. Then, what spins around the pit is not even fixed. It is as a statistical fog. I suppose that you know that all that you see around you is made by atoms, even your body!… We are made, you and me, by 99,99999% of space, surrounded with statistical fog! This fog, of course, it is of the information. We are a mass of information softly crystallized on surface. But it doesn’t feel like it to us! Nevertheless, adding the whole concrete material of the universe – all solid, liquid, gaseous, and even adding photons and all the strange particles that can be met in the universe – all the particles of the universe altogether only count for 0,4 % of the composition of the Creation. Yes: 0,4 %! The most optimistic raise that number to 4%, but still, it makes us wonder. What you always took for the material and tangible reality is in fact the visible point of the immense iceberg of reality. 99,6 % of the Creation is made by something else than material, solid or not, visible or invisible as the air. 99,6 % of the universe is made of an unknown material, even though we named it. The universe is expanding, it is known, but we discovered recently that this expansion accelerated, which would be impossible without a “engine”, a repulsive strength. The scientists baptized “dark matter” and “black light” (or “dark energy”) this whole propellent strength, unknown but strongly impacting our reality. Our story tells that these energies are in fact concrete happenings of the Pure Information, its tracks among us: the black light would be of the information soaked with data necessary for the creation of our universe, the dark matter being the densification of this structuring information, just before the supreme densification: the observable material that we considered, before, as the only reality. As a whole, they form a consistent system, from the pure, perfect and subtle (nevertheless vital) “Spacelike” to its various densifications: the black light and the dark matter, up to the raw material which forges your body and feeds you. All this can seem you abstract, because we cannot see or touch the Information, but only deduct its presence among us by discovering how the universe is made. Information is in everything. It represents the undulatory part of all the particles that exist, including light and, even if we do not necessarily need to understand it all, its application is very common today. Your computer, the reader laser of your hi-fi system, your TV and even the beep which serves to count your groceries… all this works thanks to the information, on a daily basis. And here comes the big question: why did the original thought create the world? Why are we here? Is there a reason to it all? Let me continue my story… The story deals with a big presence that tried to give birth, like a mother-cell giving birth to infant-cell before helping it grow and disappearing… Finally, at least seemingly, because it lives from now on in the memory of its infant… The mother-cell duplicated, encoded itself in its reproduced figure… And the infant-cell shall, evolve, on the bases of her mother, and go even further… The infant-cell will come to realize her mother’s dreams becoming, herself, a mother-cell. Very concretely, it’s as if the original peculiarity, the first point, had opened in our immense universe. In a sense, the first presence spread to form all that is. Imagine a big transparent jar filled with molasses. In this viscous fluid, pour a drop of colored ink drop and then, slowly turn the molasses: the drop will extend and dissolve. In no time, you will not be able to see the drop any more, or even its tail… Yet, the colored drop is in there, somewhere… Then, stop your movement, and invert it. Turn the molasses the other way around, at the same speed… You can see the original point being reconstituted under your eyes! It’s true, as if you had inverted the course of time!… You can try at home, it works. Replace the colored ink drop by our original point, charged with all Life information and you will understand that the Pure Information that created the universe is always there, hidden in everything… If we could invert time – as in the molasses jar, or like physicists-mathematicians try to calculate towards origins of the universe – you would see reappearing the wall of Planck and then the essential peculiarity. Let us begin again the experience: dilute a little the first colored ink drop, then add some other drops of color, let’s say 4 drops, as much as the strengths maintaining our universe altogether… Keep turning the molasses and drops will all dilute… You will see them mixing… By looking with a microscope, we would notice that the small particles of color would be quite hugged, in a complex network. Nevertheless, invert again your movement and all the small drops will find their original place, as if their first location had been kept safe in the memory of universe movement – and, somehow, that really happened. So, all the universe and ourselves to, in our spirit and our physical bodies, carry the memory of the first entity, the original presence. Its pure information. That’s what our Conscience is. We are its infant-cell, evolving with great difficulty towards a superior shape of existence – as if we were helping the original matrix grow. The universe is the original Presence evolving. That explains a great deal of things. For example, why “God” as-called by religious orders and philosophers cannot help us; why there are wars, poverty, diseases and misfortune … Simply because, God is “Us”!… There is no other “god” to help us! And we are already at work, trying to cure all this poverty, these wars and this misfortune! The person, the small beam(shelf) of embodied Consciousness, is going to transform this small end of sick universe in a beautiful part of bright universe. And all the consciousnesses make it. It is the purpose of any life in our universe. The human being, as all the Creation, is an immense transformer. Of course, we are not only down here: we can appeal to all the strata of “ourselves”, because we are everything, of our body of flesh, unite with all the Humanity and with all which lives, until the purest light. Understand, please, that our “We” full and whole does only one with the Whole. You not only consist of what you perceive consciously of you: a wide part of your spirit is unconscious (90 %) and your superior Consciousness is infinite, we have just seen him. Then, we have to learn to serve us unused 90 % of our unconscious spirit … and as the infinity of our full Consciousness! 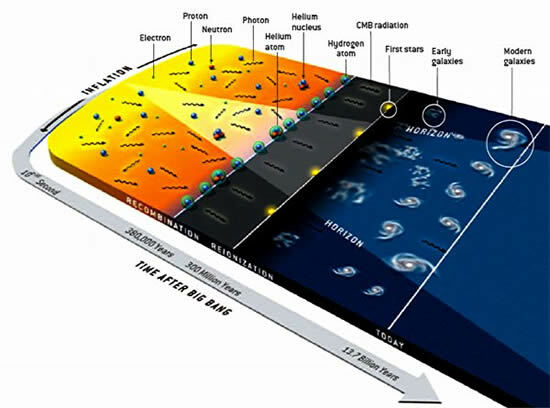 Ours goes on in stars: physicists say that stars generate entropy attracting all being. The word “entropy” comes from “en” for “energy” and “tropos” for “to reach towards”. Entropy transforms energy. Usually, we understand entropy as a trend to go towards “chaos”, disorder. All nature being subject to this entropy, every creation burns with the energy. Physicists would tell you that chaos, as we call it, is also « fewer information », « more balance”, “stability». Sure, my cathedral is very beautiful, but in spite of (or because of) all the information it contains, it is less stable than a simple wide-spread heap of pebbles on the ground… Nature knows it: reduce the complex and unstable information to bring the system towards balance. Nature of course also generates order and complexity, but much less than entropy. A star burns and will eventually disappear some day, leaving its space empty. A perfectly balanced state. Information empty. This story becomes crual as soon as it tends towards its natural conclusion: the universe is going to follow the same path, disintegrate, freeze and die. Disappear. In an infinitely long time, concrete universe as we know it will be reduced to absolute nothingness. Chill, it is not for tomorrow: it will happen is such a long time that we cannot even say how long. To give you an idea, if I wanted to write this number, I would have to write down 1 followed by a zero per second during 100 thousand billion of billions of billions of billions of billions of billions of billions years!! You thus have time before the universe disappears! The universe is only 13,75 billion years old: compared to a human life, it corresponds to the point where the father’s sperm meets the mother’s ovum. The universe is so young! The first cellular division which will much later give birth to the foetus has not even begun. We are not even born yet, by very far!! I guess what you might be thinking. Why so many punishments and poverty? Why transform something dedicated to disappear anyway? Of course everything goes towards the entropy, but remember what I told to you later: the human being, as well as all the Creation, is an immense transformer! We transform the material, the energy… in information. Just like stars do all across the universe. It is what you are doing by simply being alive, eating or just breathing. That’s the entropy, and this is why the physicists call it “to go towards more balance”, because it is true: some day, Humanity will stop existing, but not Life… Consciousness will keep taking other forms, and it will do it during a time so incredibely long we cannot imagine. In the end, all the densified information in the world, even the finest particles, will have been transformed. Material world will have joined Pure Information, lifelessly nor mass, perfect, symmetric and stable. The original thought. There are moreover already physical passages towards the ocean of Pure Information, physicists’ Spacelike, Humanist Hypnosis’ big Consciousness. We are soaked with original information, we feel it intuitively and the chances are high that we joined it every night in dream. But let us take a more physical example: a black hole! There is one at the heart of every galaxy, always of the same proportion, 1/1000th of the size of the galaxy. Do you know a black hole is? A gigantic well of inhalation. Everything existing, from light to time, is being attracted and gobbled up by it. The physicist Stephen Hawkings demonstrated that the virtual particles exist at the heart of the black holes, simply because a black hole is also as a cone: an immense mouth ending up by a sharp point, just like the perfect original point I was telling you about earlier. En fait, les trous noirs ressemblent à des percées à travers notre tissu espace-temps, vers le Ailleurs. De plus, un trou noir mange l’information de tout ce qui le pénètre. Cela reproduit à l’envers ce que je vous ai raconté à propos de la naissance de l’univers. Actually, the black holes look like brusts throughout our space-time fabric, towards Spacelike. Furthermore, black holes eat all information that penetrates it, reproducing upside down the birth of the universe. That’s why I told you earlier that you should remember carefully the difference between our world’s information and Pure original Information: mixing them, everything becomes impossible to understand, entropy is going to destroy all information, thus including Spacelike’s! But, no, it’s not of course what occurs: the only information transformed by entropy is the material world’s. When it evaporates, it becomes pure again, in the mathematical sense of the term. It returns to the original thought. Par exemple, l’information de la physique quantique est une structure cachée de notre monde matériel. La Pure Information est au-delà, bien plus parfaite et globale. En d’autres mots, il y a une différence entre la soupe quantique, l’aspect ondulatoire de toutes particules, et le Ailleurs. 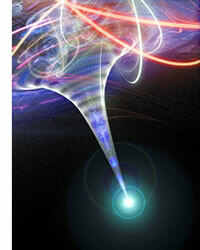 For example, quantum physics’ information is a structure hidden from our material world. Pure Information is beyond, far more perfect and global. In other words, there is a difference between the quantum soup, the undulatory aspect of any particles, and Spacelike. En Hypnose Humaniste, on appellera Conscience, avec une majuscule, l’information qui structure le monde. C’est notre conscience à nous. Et on appellera CONSCIENCE, écrit tout en majuscules, le flot parfait à l’origine de tout. C’est le même mot, puisqu’il s’agit de la même matière, si on peut dire – sauf que l’une est plus parfaite que l’autre. Humanist Hypnosis will call Consciousness (starting with caps) the information which structures the world. It is our consciousness. And we shall call CONSCIOUSNESS (all in caps) the perfect stream at the origin of everything. The same word to qualify the same material, with degrees of perfection. What will happen when all the universe, in a very long time, will have consumed any existing material, up to the tiniest particle? Its information will return to zero. Nothingness. Perfect and absolute physical balance. Does it ring a bell? The impulse of Dirac! The value of a system of quantum order is equal to zero as long as its points are non-invalid; but this value passes abruptly to infinity at point zero. When our system resets, it will provoke a fulgurance, an infinite informative flash… And we shall return to the original Pure Information, but loaded with all the new cleansed and increased information, optimized and evolved during the existence of a whole universe! Here is the mechanics that leads Life to evolve: the perfect Intelligence takes a small bit of herself, spreads it into an ocean of possibilities, materalizes part of it, develops it until as far as possible, before it tends to perfection and goes back to the original matrix itself. The circle is completed and all the story can begin again! L’histoire ne le dit pas, mais il existe certainement des milliards et milliards d’autres univers comme le nôtre, infimes cristallisations d’une Information parfaite qui cherche à devenir plus parfaite encore. The story doesn’t say it, but there are certainly billions and billion other universes as ours, tiny crystallizations of a perfect Information trying to become more perfect. What about us? We are the beams this immense sun, the active, operating arms, of the soaking information. 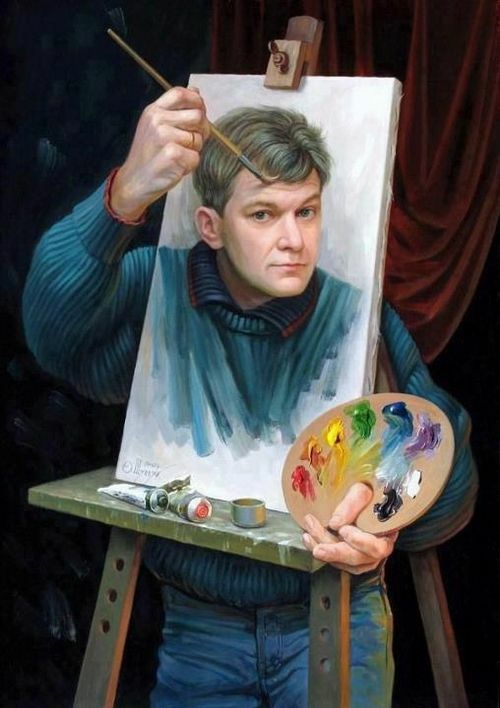 We are at the same time the painter and the picture. Think about it, it is the most incredible magic! Although often ignorant of our real nature and meaning of our actions, we are fragments of this immense consciousness working on her own improvement. Humanist Hypnosis aims at helping every consciousness down here grow, often by cure. Many questions remain, as well as answers you will discover thanks to the Humanist Hypnosis. I hope that this story will have showed you a glimpse of the unlimitedness weall work for. Life is a step, renewed again and again, at every level of the Creation, towards total plenitude. Vous avez besoin d’une version récente de Adobe Flash Player. There is more to explore inwards (10 puissance -35 meters) than outwards (10 puissance 26 meters) ! – EINSTEIN, La Relativité, pour le côté historique de la chose et si bien expliqué par le maître ! – HAWKINGS, Commencement du temps et de la physique, à lire en complément de ses autres livres (comme “Une brève histoire du temps”), même si ce cher Hawkings n’est pas forcément très “humaniste” ! – SHELDRAKE, Une nouvelle science de la vie et tout ces autres ouvrages : à propos des “champs morphogénétiques” et de la manière dont notre Conscience modèle le monde, par un biologiste de réputation mondiale.